Your garden or yard is often overlooked, but it can be a great place for relaxing, entertaining, or just enjoying the peace of time together with the family under the stars. One way to ensure you all use your outdoor space more all year round is to add a heat source. There is no better way than with an outdoor fire pit. These not only keep you warm but also act as a real welcoming feature. A wood fire needs active participation to keep it going, so invites people to stay outdoors and communicate, enjoying each others company or simply contemplating the dancing flames in peace. 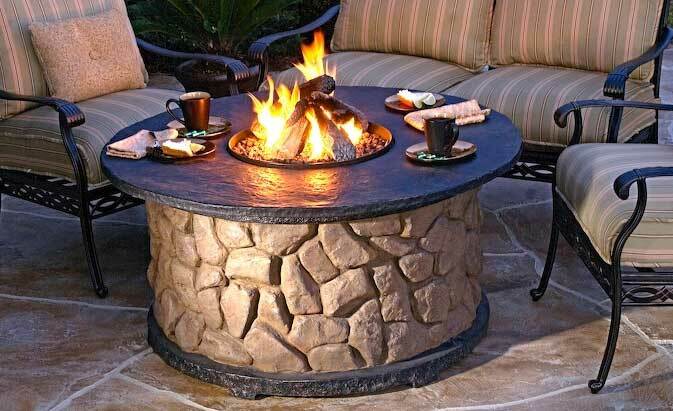 If you are considering buying or building a fire-pit for the garden you should consider getting something as high a quality as you can afford. Cheaper products are often made of thin metals that will warp and rust over time. This is not such a problem if you plan on using the article only rarely, and keeping it under cover at other times. But if you want to regularly enjoy time with friends around your very own camp-fire it makes sense to get the best you can afford. Sojoe Fire Pits have an extremely good reputation. They do cost a little more than flimsy cheap models, but are not particularly expensive and do guarantee that you will have garden fires for years to come. Their heavy, thick metal tubs are able to cope well with the continued stresses and strains of heating and cooling associated with wood fires. Their design makes managing a camp-fire simple too. The tub that holds the wood is deep and wide enough to allow larger logs that should burn hotter for longer, to be added once the smaller stuff has built up some good heat. Additionally cut out designs around the sides allow fresh air to gain access to the very heart of the fire easily. This means the fire stays happily alight without so much tending from you. Of course those cut outs also add a little touch of magic, as you see flames dancing behind pretty cut out patterns. When considering an outdoor fire pit you should take into account the base on which it will be stood. If necessary consider buying a heat-proof slab to place underneath. Fire pits with mesh spark screens, like the Sojoe ones, are the best choice in terms of safety as they prevent large embers escaping from the flames.